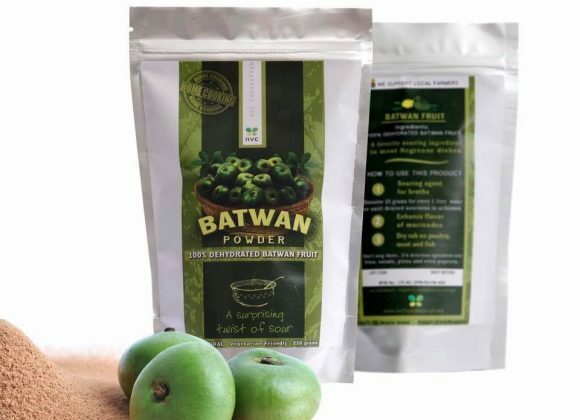 Batwan (or batuan) is a Filipino fruit and one of the earliest known souring ingredients of Filipino cuisine. Abundant in the islands of Negros and Panay, it’s the secret ingredient in many popular Ilonggo dishes—like kadios, kansi, and inasal—and can be used in place of tamarind, kamias, and guava to give dishes a unique tang that will surprise the palate. After months of research and development, the Negrense Volunteers for Change (NVC) Foundation, based in Bacolod City, Negros Island, has developed its Batwan Powder to give Negrenses all over the world a sweet (and sour) taste of home. 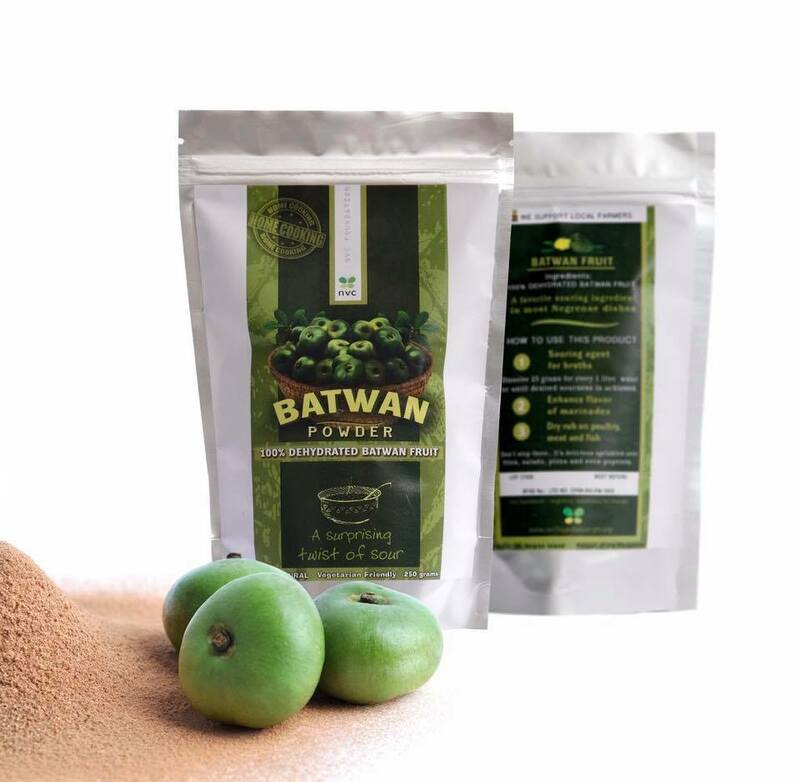 NVC’s Batwan Powder is made of 100% natural fruit and nothing else. In the same manufacturing plan that makes Mingo, the nutrition supplement that NVC uses for its feeding programs, the fruit is simply dehydrated and powderized. Use it for broths (like sinigang or the Thai tom yum goong), sauces, salad dressings, and marinades. It’s also great in iced drinks like smoothies and coolers! This product is manufactured in NVC’s Mingo plant. Your purchase helps NVC pursue its programs for disadvantaged children and their parents. It also provides a steady source of livelihood for Mingo manufacturing plant workers. NVC’s batwan powder is available in packs of 125 grams (Php 175) and 250 grams (Php 300). Shipping is free to any major city in the Philippines for orders worth Php 3,000 and up. Blogger Joey Larrazabal-Blanco of 80 Breakfasts on NVC’s batwan powder. We gave her some samples to try last April 2017. Now officially his favorite job in the kitchen…my little marinader, meat seasoner, and rub applier ❤❤❤ This is liempo (pork belly) with patis (fish sauce), crushed garlic, black pepper, and batwan powder…then grilled (in my grill pan) ??? Simple but fantastic…thumbs up from my whole family!! ??? ?